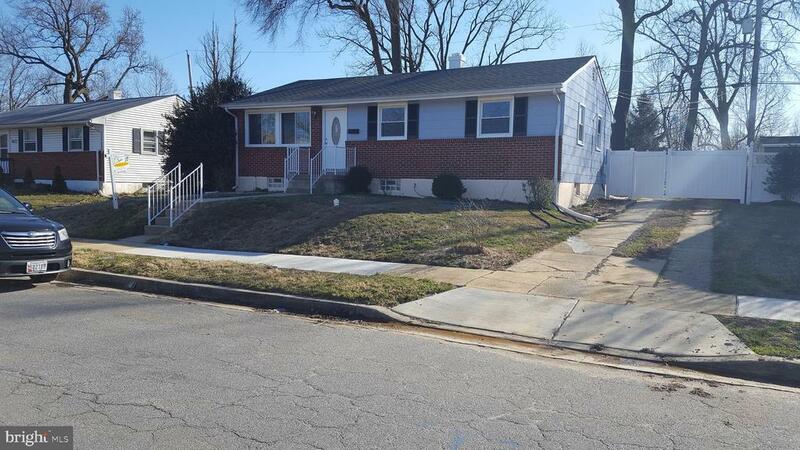 All Randallstown homes currently listed for sale in Randallstown as of 04/23/2019 are shown below. You can change the search criteria at any time by pressing the 'Change Search' button below. 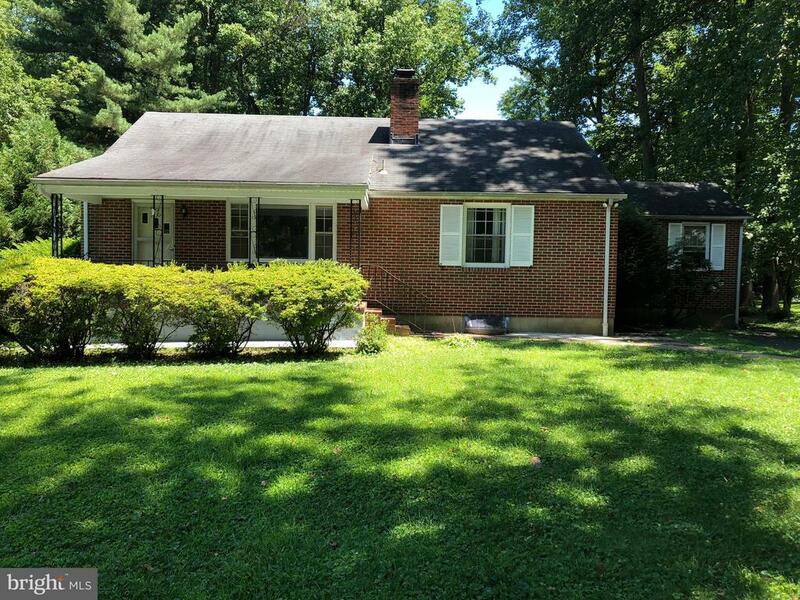 If you have any questions or you would like more information about any Randallstown homes for sale or other Randallstown real estate, please contact us and one of our knowledgeable Randallstown REALTORS® would be pleased to assist you. "Custom built, 4 year old home. 1 1/2 acres. 2 of the 4 bedrooms are master suites-private sanctuaries for your peace and enjoyment. Host parties and entertain on the expansive new deck. Enjoy movie night in the media room. Catch up on work in your private office. Separate dining room, open floor plan. Bay window, 3 car side entry garage, driveway, cul-de-sac location. Nothing for you to do!!!" "Welcome to your dream home! This one of a kind remarkable luxury living in Harrisonville with hot tub, in-ground pool & Basketball court! Newly remodeled kitchen (2018), in-laws basement suite/ spare bedroom + recreation room with half kitchen/ bar, Newly added sunroom for extra space, home office, huge deck with build in gas grill, perfect for summertime BBQ, plenty of space for entertaining guests with pool, hot tub & basketball court. Open concept luxury floor plan, gas fireplace, huge master bed + bathroom suite, Stainless Steel appliances thru out, 2 car garages, large parking pad + driveway. Motivated seller, bring all offers! This house can come fully/partially furnished and seller credit is available. Ask Hans how to get $5000 toward this home & Lease with the right to purchase option for homes $150k - 450k. Veteran & USDA 0% down program available, Seller prefers to use Advantage Title. Text 224 to +14109833041 to see Virtual Tour of this house." 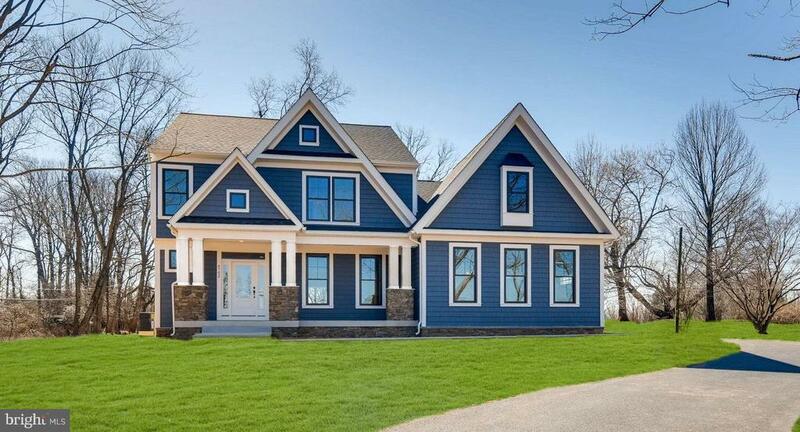 "3,000+ sq ft gorgeous luxury craftsman that will sit on 1+ acre in the beautiful Marriottsville Run Community. 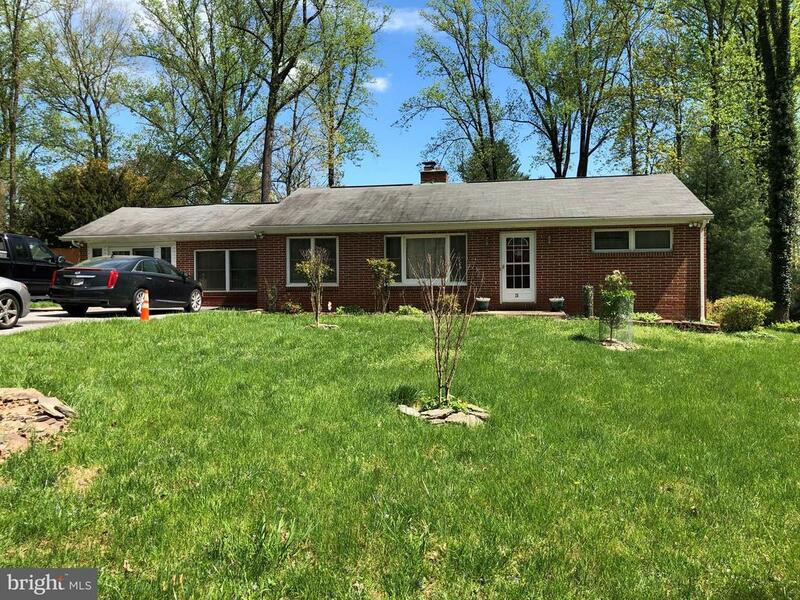 Prime location w/easy access to 695, 795, 70, Owings Mills, and Howard County! The home and floorplan are amazing! Customize to suit your family: 4+ BR, 2.5+ BA. LUXURY IS STANDARD: 2 car side load garage, 5 hand scraped hardwood on entire first floor, oak/maple hardwood main floor stairs, elegant stained oak handrails with white pickets, spacious owner's suite with walk-in closet, luxury kitchen package including SS appliances & granite counters, roman bronze exterior light fixtures, brushed nickel upgraded interior lighting fixtures, 9 ft. walls at basement and first floor, sprinkler system, and much more! Some Available Options: in law suite, finished basement with multiple rooms, rear deck. ESTIMATED DELIVERY Summer/Fall 2019!!! Other lots available! Pick your ideal lot and build your dream home! Special assessment, conservation easement, HOA, and other property info still to be verified." 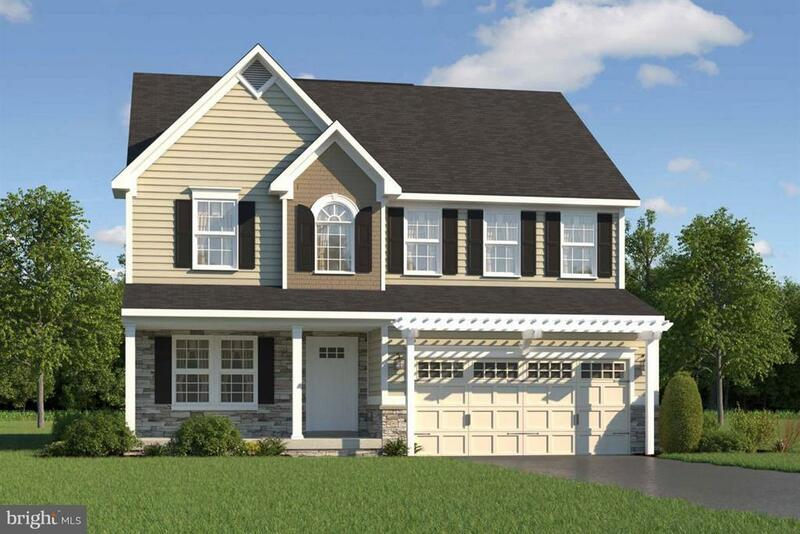 "Build to Suit: This charming home by HomeSweet Home Development, features an open foyer leading to a spacious room with opt, fireplace, eat-in kitchen, breakfast bar/island, dining room and optional entrance to the side garage. Carpet and laminate floors throughout with kitchen granite counter top and a partial bathroom on the main level. Upstairs, spacious 3 bedrooms, laundry and 2 full bathrooms. Unfinished basement will have rough-in for a full bathroom. A second car garage is optional also. Costs include Lot Site Development Fees, well and septic systems and the lot itself." "A beautiful home set in a quiet community just built by a private builder. 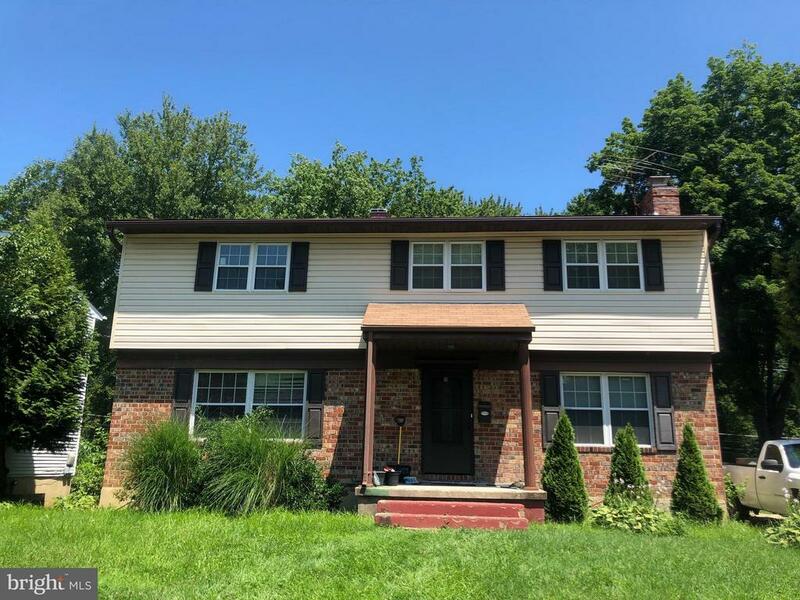 This home offers 5 bedrooms, 3 on the upper level, one on the main level and one in the basement, 3 full baths and one half bath. 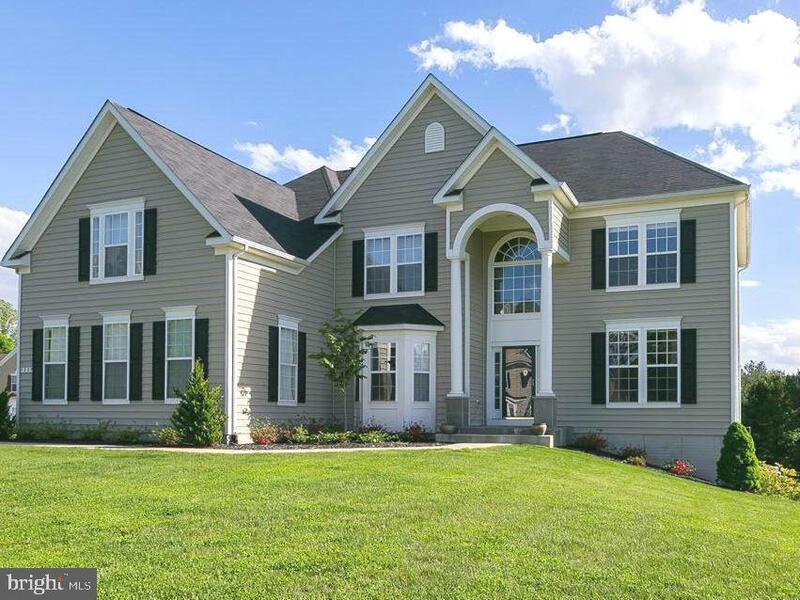 A front porch, Coffered ceilings, Granite countertops, stainless steel appliances, island with a sink, detached 2 car garage, back deck and patio area, high end finishes, Wainscoting throughout. The home to the right of this one is to fully renovated by the same builder." 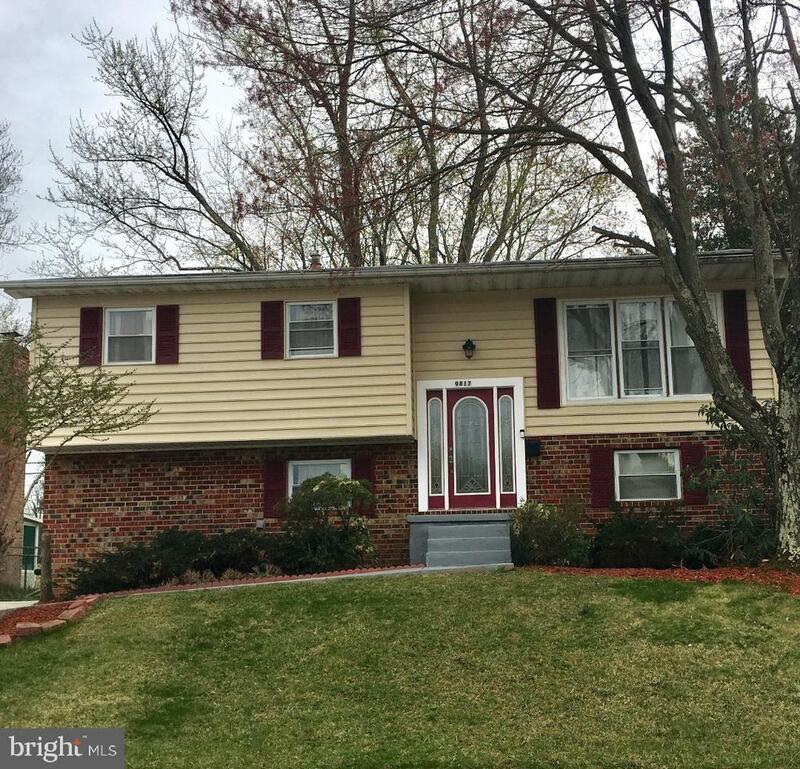 "Beautiful and spacious 4 bedroom home with 2 full baths and 2 half baths sits at the end of a cul de sac in lovely suburban setting. Large first floor family room with wood burning fireplace off of the kitchen. Kitchen with GE Profile stainless steel gas stove, built in microwave, and french-door refrigerator. French doors with inset blinds open from the kitchen to a newly stained deck perfect for grilling and entertaining. A formal living and dining room complete the main level. Large Master Bedroom with walk-in closet, spectacular soaking tub and separate shower make this your private luxury bathroom. Finished basement with two separate entertainment areas provide even more additional living space. An extra bonus is the separate laundry/storage area in the basement and the outside tool shed that provides storage. Contact your agent to see this home." "Coming Soon! 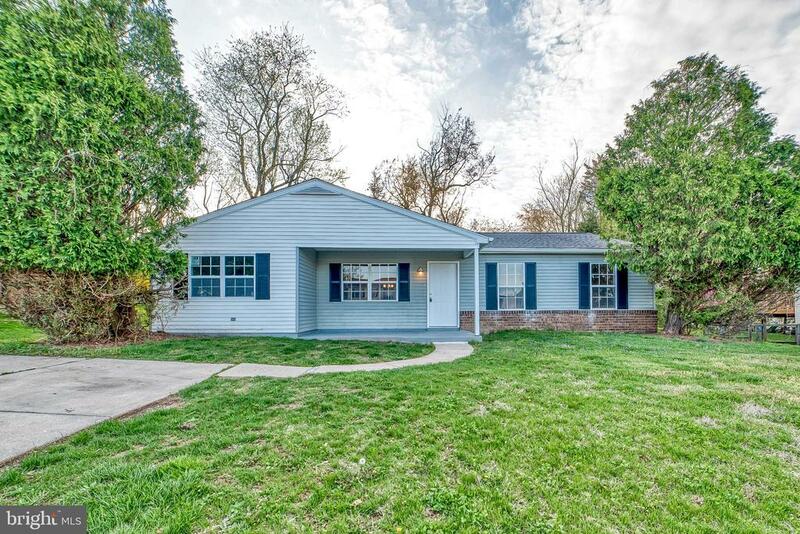 Lovely Brick Rancher in Hernwood! Beautiful Parklike Rear Yard, Deck to enjoy Cool Breeze. Large Addition currently used as Dining Room, many possibilities, Gorgeous Master Bedroom. Updated Custom Kitchen, Wood Stove in Living Room. Must See!" "Do you need a lot of space? This is 2 semi detached homes which have been combined to make one very large rancher - 2 of everything! The possibilities are endless! Extensively remodeled handicapped access bathroom. Nice corner lot, front porch, basement on one side - Ideal for multi generation living! Snap, Snap! Enjoy!" 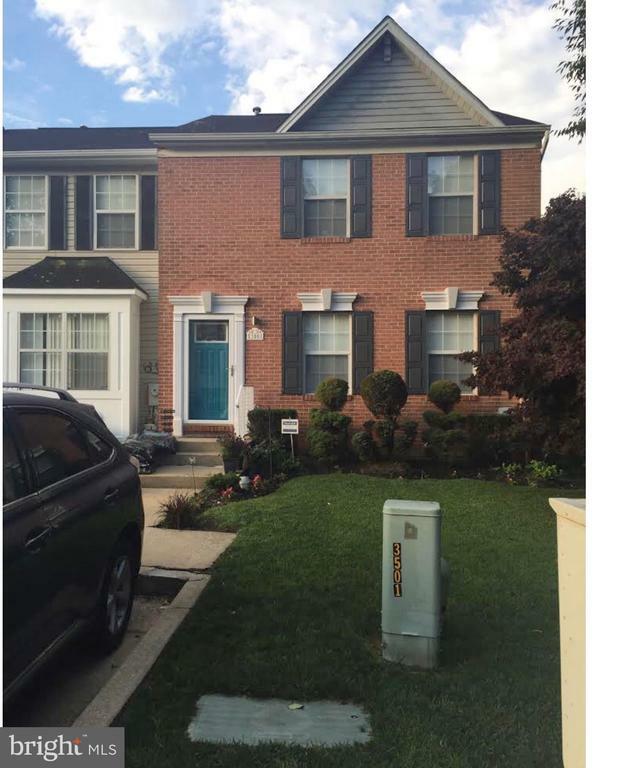 "Amazing 4 BR, 2 full baths, 2 half baths single family in desirable community. Located in a quiet cul-de-sac this home features beautiful hardwood floors on the main level, a family room with fireplace, bay windows, separate formal dining and an eat-in area off the kitchen. Freshly painted throughout and new carpet, new roof with warranty. Sliding doors to a great covered deck, finished basement for the perfect man cave. Spacious workshop/laundry/storage area. Home warranty included." "A Beautiful way to Live in Great Property..Great Neighborhood!! 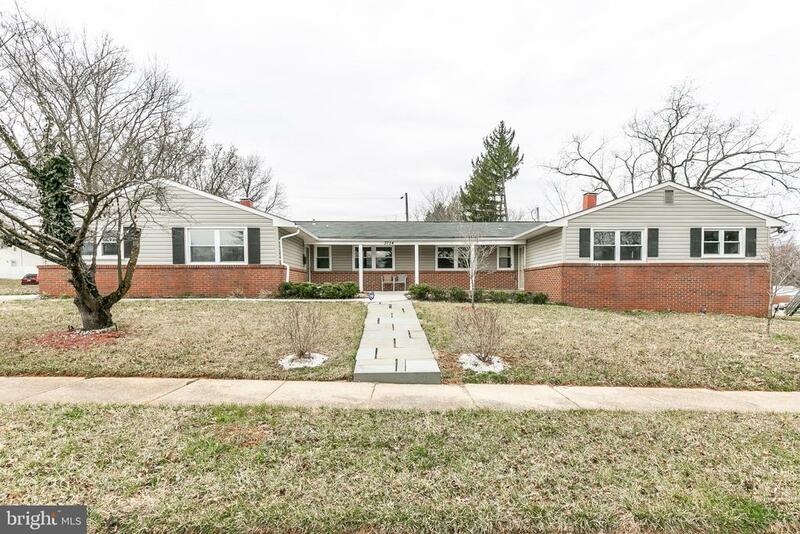 Well cared for Large, Lovely 4Bed/3Bath Rancher on almost a half acre with lots and lots of udates. Freshly painted thoughout. New 2015 Furnace and Air Conditioner. Large open kitchen w/ss appliances, Living room boast w/gleaming hardwood floors, crown molding, fireplace and coffered ceiling. Bonus room off the kitchen that can be used as an office, gym or formal dining room. 2nd bedroom w/full master bath. Very large fully finished basement with 4th bedroom/full bathroom and laundry room. Huge backyard w/Large deck for family gatherings. Priced to sell. Available to show beginning April 19"
"Sleek, stylish and modern split-level home. Completely renovated from top to bottom. Brand new chef kitchen with SS appliances and tile backsplash, open LR/DR with beautiful hardwood floors. Spacious bedrooms and luxurious designer style baths. Spacious lower level with family room and extra bedroom. Endless possibilities with deck and huge backyard for everyone to enjoy!" "OPEN HOUSE SUN 4/14 1-3PM!!! Located in a nice quiet neighborhood on a dead end street. 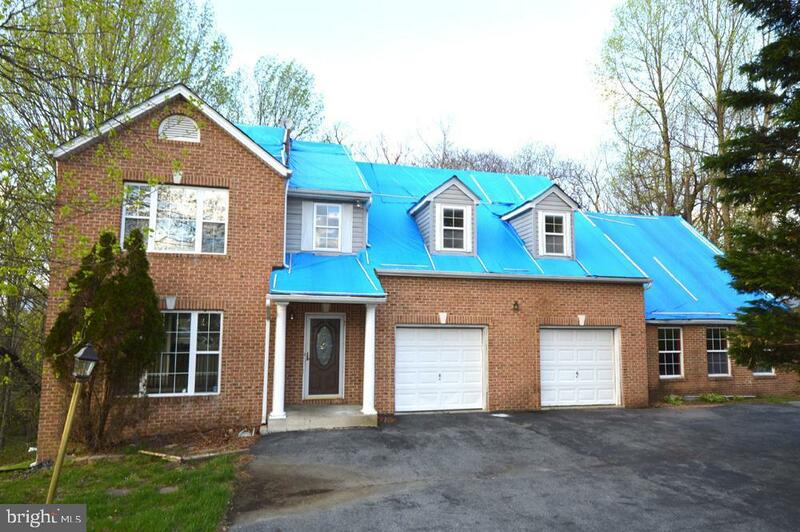 Single Family House w/Driveway, Deck, Patio on .24 acres in Kings Point. Main Level 4th Bedroom, Half Bath, Family Room with Brick wood burning Fireplace w/Sliders to Patio & Yard. 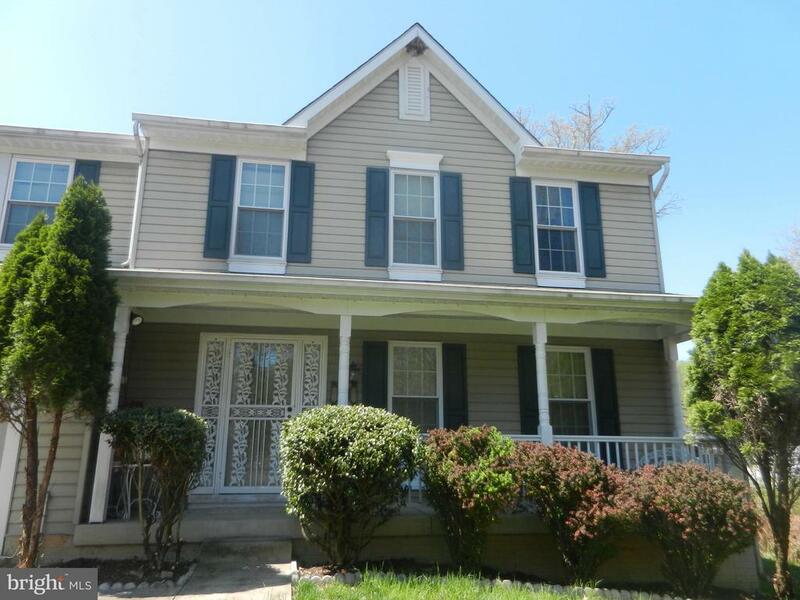 Upper Level w/Living Room w/Beautiful Bay Window & Dining Room w/Hardwood Floors. 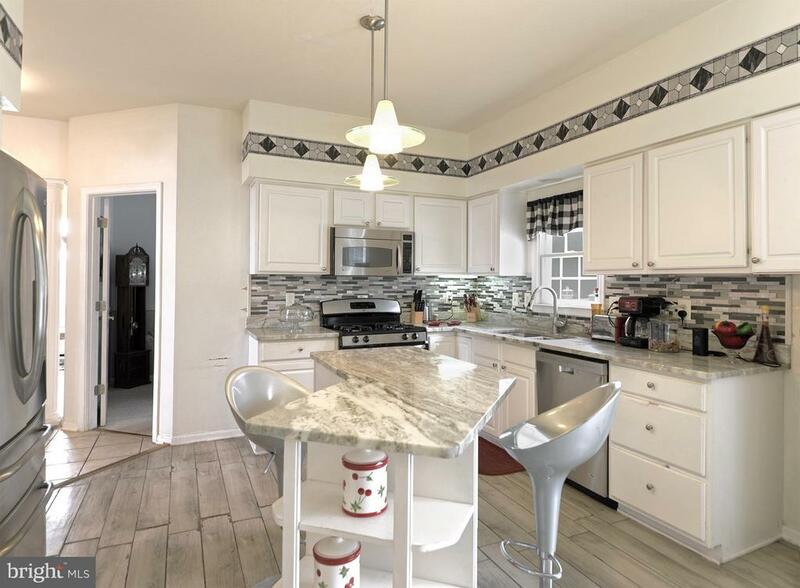 Upgraded Eat-in Kitchen w/Granite Counters, SS Appliances & Door to Deck w/Stairs. Master Bedroom with His & Her Closets, Hardwood Floors & Master Bathroom w/Shower Stall. Bedrooms w/Hardwood Floors & Large Closet. Lower Level w/Den/Office, Laundry Room & Storage Room. Roof is 2 years old. Double Pane Windows.Close to Shopping, Restaurants & Metro. Can Do Quick Settlement. Ready To Move In!!" 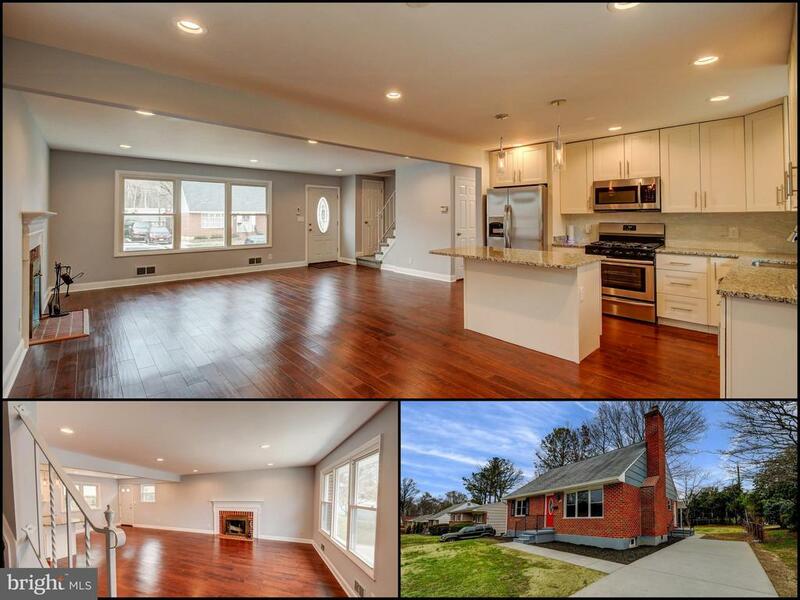 "Beautifully renovated from top-to-bottom 4 brm 3 ba home. Featuring open and bright floor plan. Gleaming HW floors throughout. New kitchen w/ SS appliances and granite counter top. New baths w/ masterful tile work. Fully finished basement w/ brm and bath. Nice flay yard! MUST SEE!" "Beautiful, spacious, 3 bedrooms, 2 and a half bath Colonial with new roof/windows/siding/furnace. Open floor plan on the main level offers an oversized sunlit living room, cozy family room with tiled fireplace, powder room, laundry room. Renovated eat-in kitchen with ceramic tile has french doors leading to sizable deck, 42-inch cabinets, island, and lots of storage! Upper level has 3 oversized rooms, full bath, huge master suite with his/her closets; master bath with double vanity, soaking tub, and shower. Lower level has finished basement ready for entertainment. Must see." 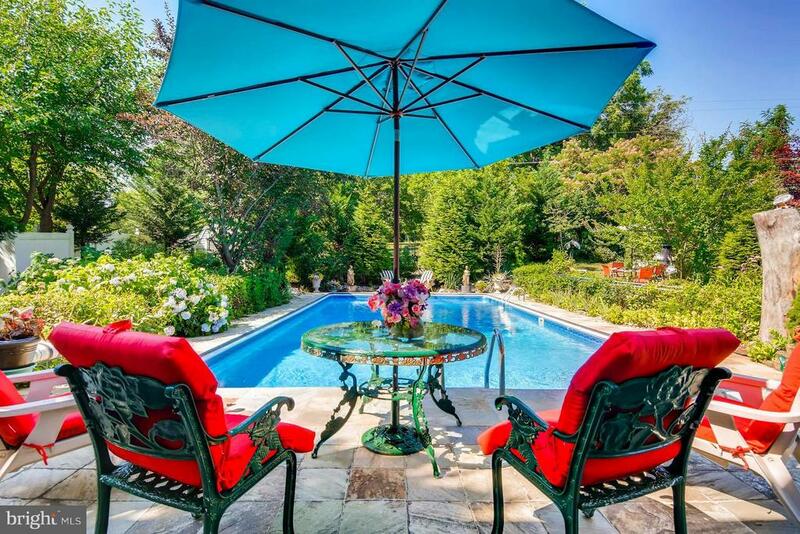 "Breath taking oasis in your own back yard! Imagine coming home to this stunning garden with exotic plants and trees creating a private serene setting for you to kick back and relax pool side. De-stress in your outdoor sauna. 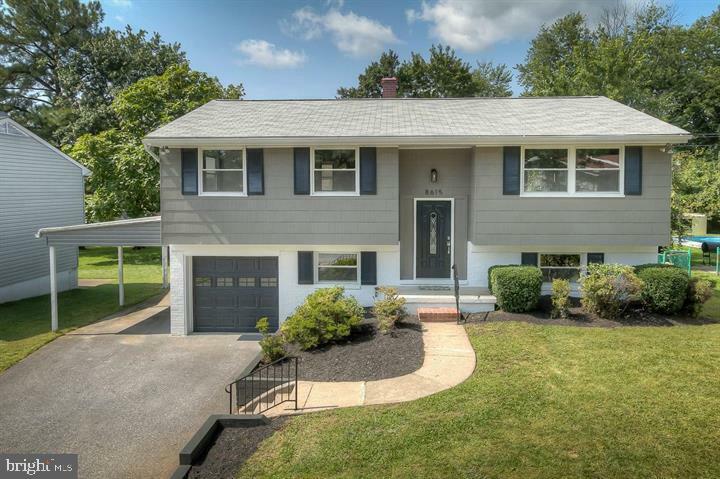 This 4 BR/2 BA home has tons of upgrades made by the owner over the years. Marble floors, dual refrigerators, and converted garage just to name a few! Come fall in love!" "WONDERFUL OPPORTUNITY TO PURCHASE THIS 4 BEDROOM COLONIAL IN BEAUTIFUL MARDELLA RUN ON OVER 2 ACRES. PICTURES TO FOLLOW SOON." 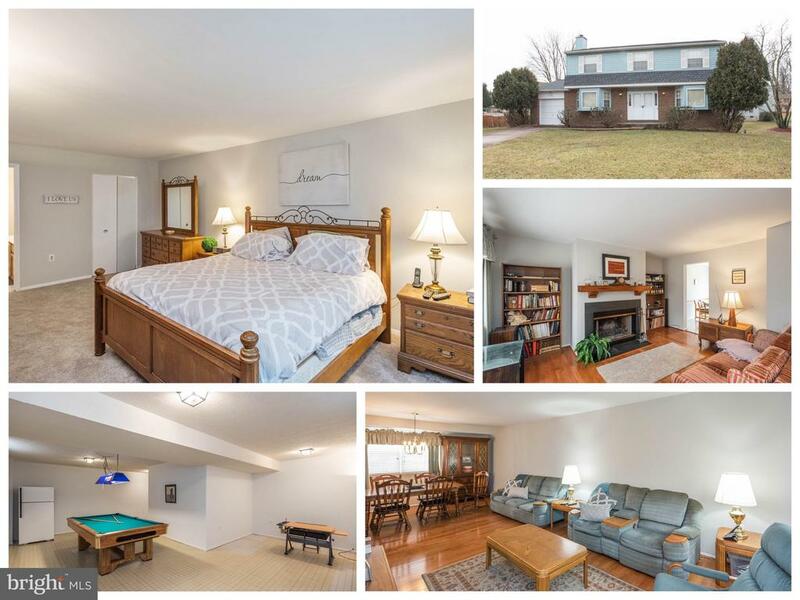 "Beautifully remodeled 5 bedroom and 2full bathroom home, lower level could be in-law suite. 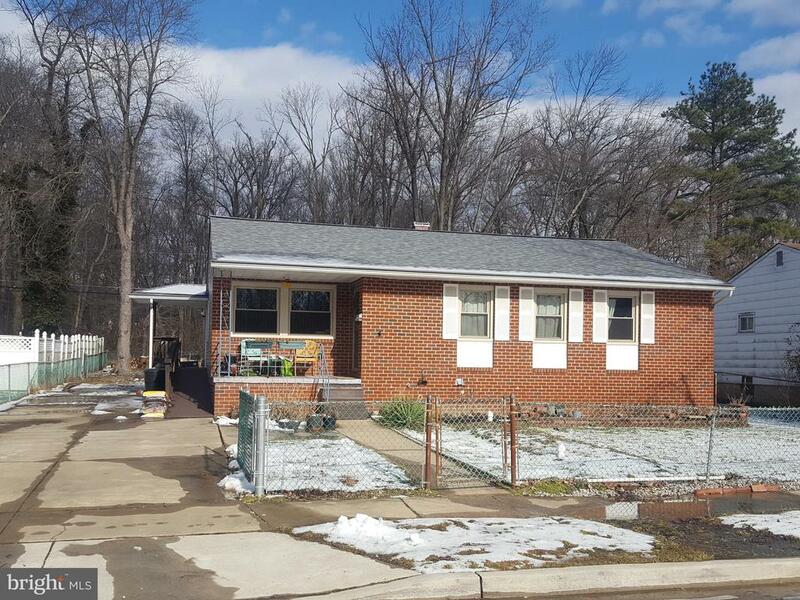 All ugraded appliances, large bedrooms, fenced in yard, and deck off of the kitchen"
"Welcome home to your nicely updated Rancher on a corner lot! This beautiful home has 5 bedrooms and 2 full baths. 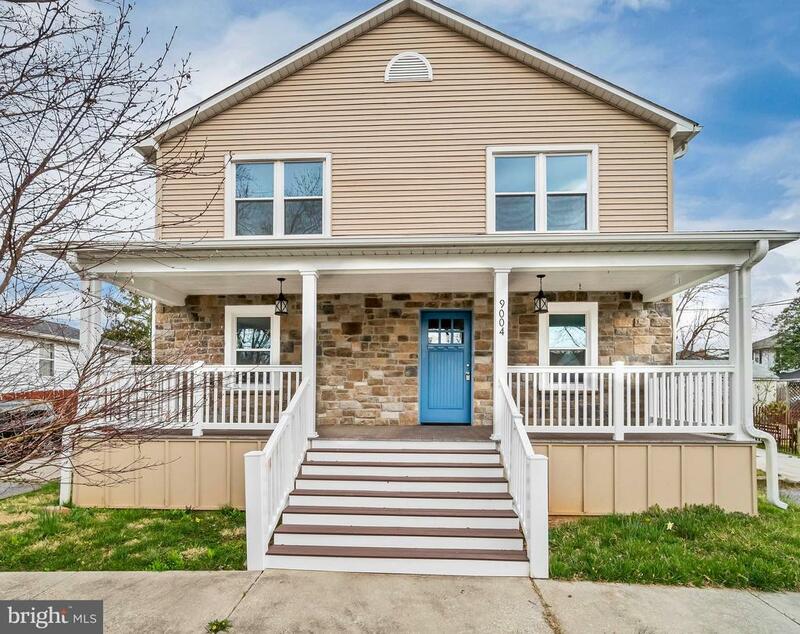 Some features include a new roof, new siding, new windows, new HVAC, new HWH, gorgeous 42 white cabinets, granite countertops, new bathrooms with ceramic tile and new vanities, a spacious finished basement with new carpet, a covered rear patio, and fenced yard that's perfect for entertaining! This is turn-key at it's best! Won't last long!" 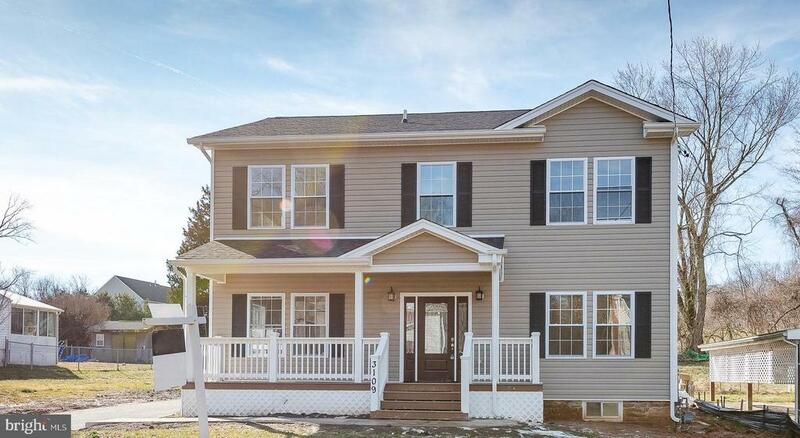 "Great opportunity to own this 5 br home with 3.5 bths. Home features a new roof , and a newly finished basement. Hardwood floors throughout, a handicap ramp to the main level. Need a little TLC to make this home complete. Being Sold As Is." "Welcome Home! Lovely 4 bedroom home waiting for a new family. Home features refinished hardwood floors, new carpet on the lower level, updated stainless appliances, and new granite. Additional room on the lower level could be a den / office/ or 5th bedroom." 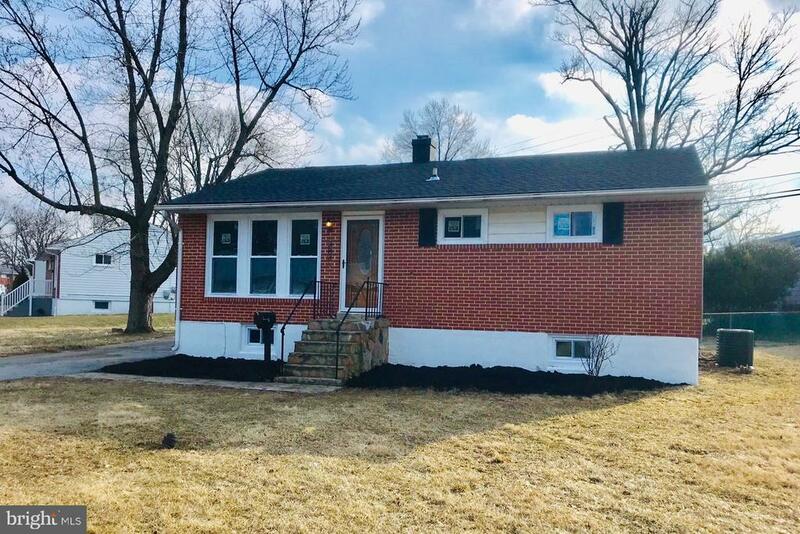 "Another wonderful to own this beautifully renovated 4 bedroom 2 bath detached rancher with new stainless steel/granite kitchen, new paint, new floors, new tiled baths, new roof , new fixtures, new lights, new fans etc. This property also boasts 1800 square feet , a fireplace and a huge size yard. Don't Delay See today!" "STUNNING HIGH QUALITY REHAB FROM ELITE REI LLC. THIS IS THE HOTTEST HOUSE IN THE AREA! THIS 4 BEDROOM, 2 BATHROOMS CORNER LOT WITH AN OPEN CONCEPT, SHOWING OFF HARDWOOD FLOORS, HIGH END FINISHES, HUGE BASEMENT, REC ROOM & CLOSED IN PORCH IS A MUST SEE!! ALL NEW HVAC. DON'T MISS OUT ON THIS ONE OF A KIND. 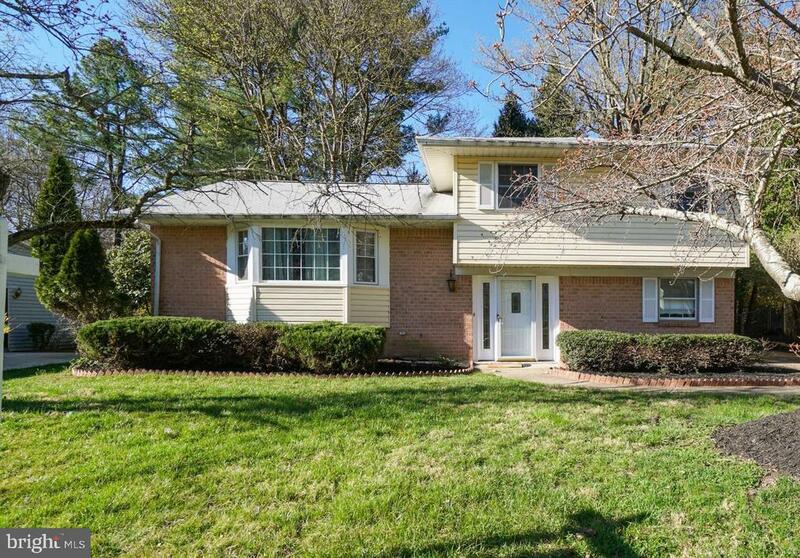 SCHEDULE YOUR SHOWING TODAY"
"Beautiful Well Maintained EOG Townhouse in an highly sought after Neighborhood, Features 3 bedroom 3 Full/ 1half Bath to include spacious Master suite w/Full Bath. Stainless steel appliances, Front load Washer and Dryer, Nice Size Family Room for Entertainment w/ Bonus Room can be used as an office,Boasting with Beautiful Exotic Hardwood Floors. Enjoy this spacious Backyard for family Gatherings or Sit out on the Deck for a little R&R. Newly renovated Kitchen, New A/C. Stop in and see Me! I WONT Last Long. 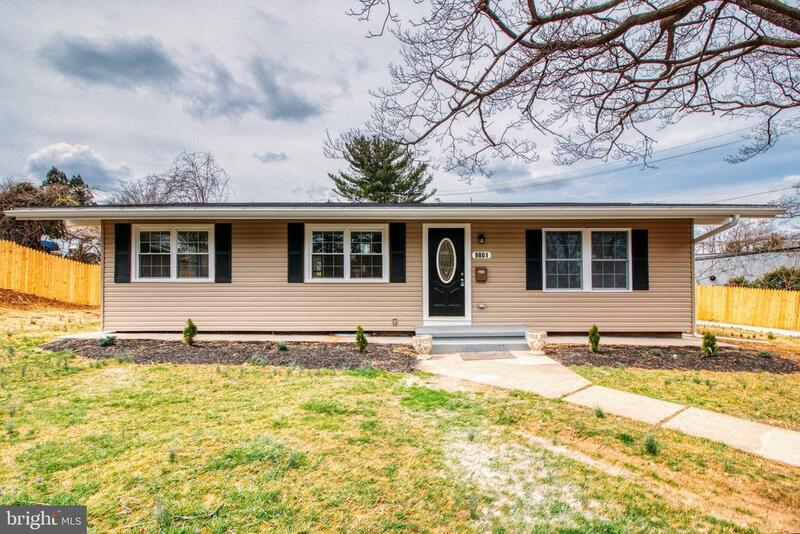 Open House 4/27/2019 1;00 PM- 3:00 PM"